Venue : Pearey Lal Bhavan, 2, Bahadur Shah Zafar Marg, Near I.T.O. 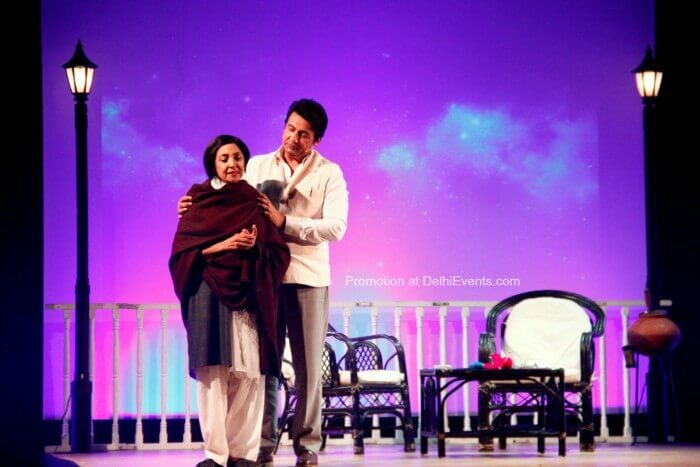 Event Description : "Ek Mulaqaat" Hindi Play. It is a story that deals with two eminent poets - Sahir Ludhianvi and Amrita Pritam. It is a play of unfulfilled love, magical poetry and music. Set on a wintry Delhi evening, the play moves along the path of a magical love story, a love that could not be realized. Amrita is sitting all alone on her terrace when Sahir arrives unannounced. She is happy to meet him and together they go about talking of a life that they did not spend together. The 'what-if' questions are asked and unanswered questions, answered. He has come today for a specific purpose. What is the purpose of his visit?